The nurses and assistant practitioners have daily treatment room sessions as well, for general nursing problems & well person checks. Appointments to see either the nurse or assistant practitioners can be made by telephoning the above number. Please specify which clinic you require to ensure the appropriate appointment. 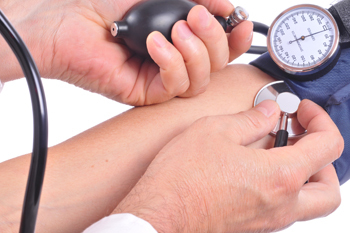 If you suffer from Diabetes, High Blood Pressure, Heart Disease or have had a Stroke you will receive annual review reminders asking you to book an initial appointment with our Assistant Practitionerswho will carry out the background checks such as blood pressure, height, weight and often take a blood test. An appointment will then be made for a review with a practice nurse who will discuss the blood results and any further management of your condition that may be needed. We strongly advise that you attend for your reviews as this may prevent you developing complications from your condition. The doctors recommend full immunisation for both adults and children. In addition we are able to provide influenza and pneumococcal vaccinations for the over 65s and those at risk (October and November) along with travel vaccinations (see the Travel Information page for more information). Please contact reception to request a travel form or compete the online form within the Travel Information section . These are carried out by the practice nurses during normal surgery time. When your smear is due you will be contacted by letter. During pregnancy it is important that expectant mothers are seen regularly by the midwife to ensure both mother and baby are progressing well. Full care is provided by the midwives on Tuesday and Thursday mornings. This nurse-led clinic uses specialist computer software to calculate the INR from a finger prick blood sample. This is a “one stop” clinic enabling patients to leave with an up-to-date dosing letter. If you require minor surgery your doctor will advise you to make an appointment with them and one of our practice nurses. This will be carried out in one of the fully equipped nurse’s treatment rooms. 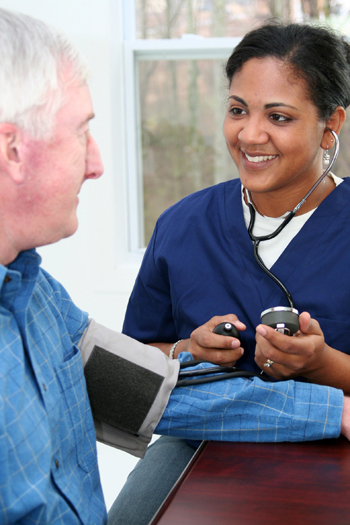 Our assistant practitioners can offer well person checks, including blood pressure checks and blood tests to check cholesterol levels. Qualified counsellors hold sessions weekly. You will be referred to this service by your doctor. Developmental checks are carried out by the health visitors either in the patient's home or at the Community Clinic in the YWCA on Highgate, Kendal. Parents or guardians will be contacted by the health visitor at the due times. The health visitors hold this clinic for children between 2.00 and 4.15pm every Tuesday, at the surgery. You may attend this clinic without a pre-booked appointment between 3.00 and 4.00pm but you may be subject to some delay, as patients with appointments take precedence. If you wish to rearrange or book an appointment, please telephone Child Health on (01539) 797808. Test results can be accessed online by patients who are registered for online records access. If you would like to access results this way please contact the surgery or go to the Online Services Registration section of this website. Any requested samples should be handed in to reception before 1.30pm Monday to Friday, so that we can ensure that they arrive at the lab in time. Please phone after 2.00pm Monday to Friday for your results. The Reception staff can only tell you the results after they have been checked by a doctor and so you may be asked to telephone back if the results have not been reviewed by the doctor. To maintain confidentiality, results will only be given to the patients themselves, or their carers if this is appropriate. Advice on all methods of contraception and sexual health is available at the surgery. This is provided by the doctors within normal surgery times and Practice Nurses who hold clinics during the week. Clinics covers all aspects of contraception and sexual health including 'pill' initiation and annual 'pill' checks, injections, IUDs and implants, as well as screening for possible sexually transmitted infections. For repeat prescriptions of the oral contraceptive pill please ask Reception to make an appointment with a Practice Nurse. Intra-uterine contraceptive devices (coils) are fitted by Drs Frost, Morgan and Williams. Nexplanon contraceptive implants can be fitted by Nurse Jean Wilson. You will need an initial appointment with Nurse Jean Wilson to discuss these methods and arrange an appointment for the actual fitting; the fitting will usually take place on a Wednesday or Friday afternoon. We provide a confidential family planning service to all our patients including those under 16 years of age. If you have concerns about any aspect of sexual health or need information, whatever your age, our practice nurse, Jean Wilson, is available Monday mornings and all day Friday. If you require this service please request a same-day/urgent appointment with a Practice Nurse or GP. Superdrug, Well Pharmacy (Maude Street Pharmacy) and Rowlands Chemist supply the emergency contraceptive pill free of charge, although this is not as effective as having an emergency IUD fitted. Intrauterine contraception, in the form of the IUD or Mirena®, is as effective as a woman being sterilised but also easily reversible. 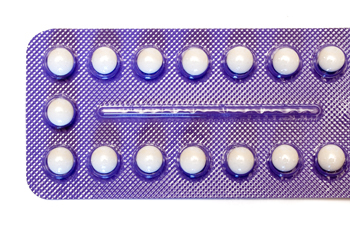 There is some excellent information on this form of contraception provided by Lothian Sexual Health Services which can be accessed here. We would particularly recommend watching the 10 minute video presentation if you are considering the IUD or Mirena® as your form of contraception. The links below will take you to websites with reliable information on a variety of contraceptive issues. The British Pregnancy Advisory Service (BPAS) is a charity which offers information and choices on unplanned pregnancy, see www.bpas.org. We have special arrangements for HGV, PSV, elderly drivers, employment, insurance and sports medicals. These are not covered by the NHS and there will be a fee. Please ask the Patient Care Corodinator for details and an appointment. Please ring and speak to one of our receptionists to book a flu jab. Children that are aged 2, 3 or 4 years on 31st August 2015 are eligible. Only book into nasal flu clinics not flu clinics. They cannot be less than 2years or 5years and over, unless at risk. Anyone 65 years or over can have a one off vaccine for pneumonia. If they haven’t had it before please book an appointment as a second appointment to the flu vaccination.